A couple of weeks ago, my husband and I went to Torrero restaurant to have lunch their and somehow it turned out to be a very bad experience which I’ll talk about later on. I didn’t want to go back home upset so I suggested we drop MADO a visit, and off we went. Mashallah the place is always crowded even on weekdays in the afternoon but we managed to have a table inside because it was kinda chilly outdoors. We were welcomed with a lovely smile from the manager and then the waiter took us to our table. 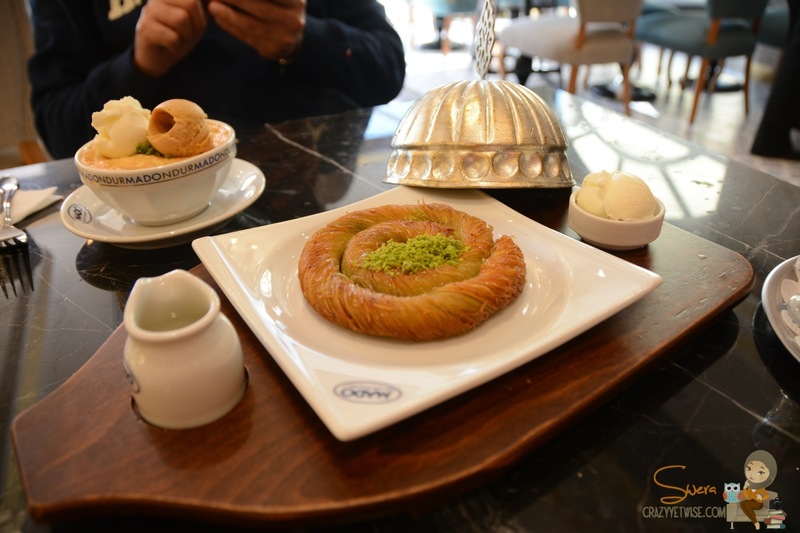 Most of the staff speak Arabic, so it won’t be a problem dealing with them, not like in Turkey when you face some people who don’t speak English and you have a difficulty connecting with them. The decoration was really lovely, as if we are really in Turkey, with all the Turkish staff, Turkish music and not to mention The FOOD. Speaking of food. I was surprised to see that they do offer meals suitable for lunch and dinner. 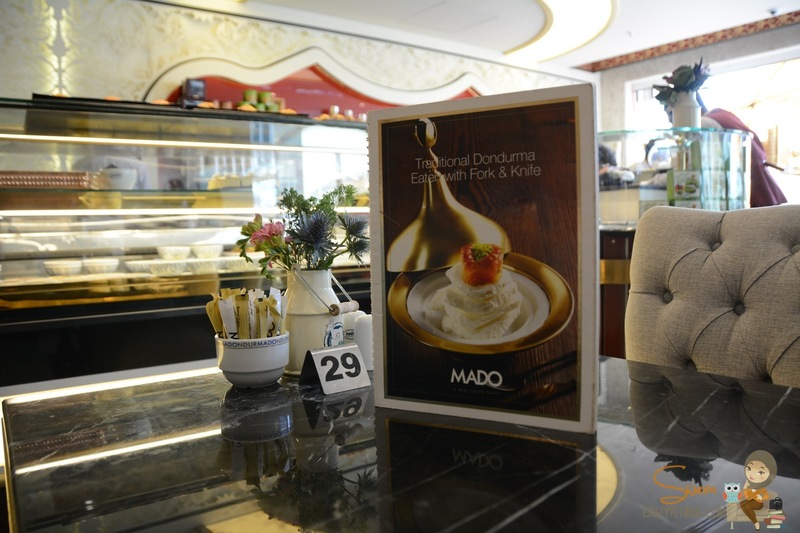 I always went to MADO in Istanbul just for the dessert and never bothered to look further in the menu. So if you’re going there, try their Turkish food either for lunch or dinner, I bet it will taste good. Now, let’s talk about what we’ve ordered. Husband chose Muhalabiya which came topped with 2 scopes of ice cream and I got the Pistachio Burma *OMG*. 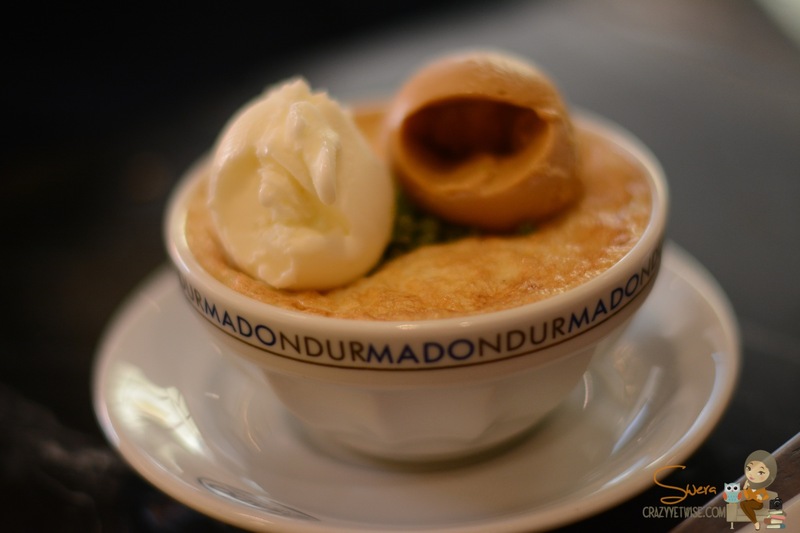 The Pistachio Burma was heavenly delicious, I really loved it. Husband loved his Muhalabiya, he said it was amazing. The ice cream is almost like the one they offer in Turkey if not the same. The service was really good. The staff was very lovely and we got our orders on time. 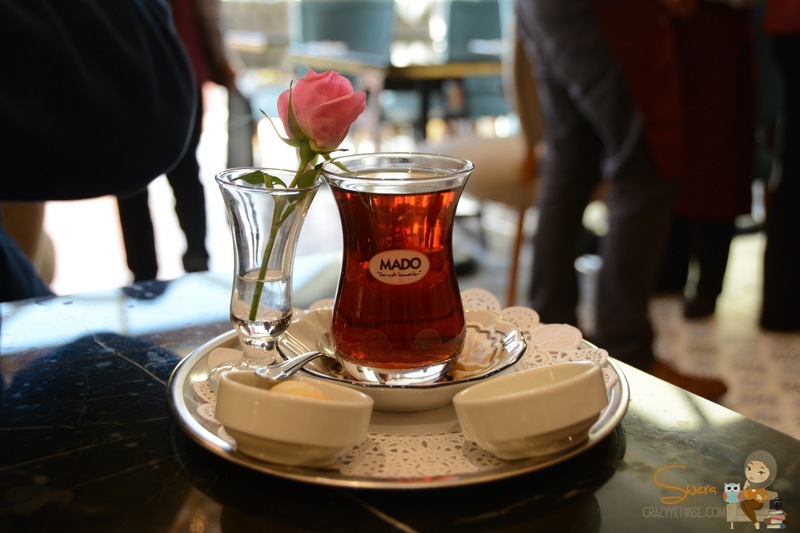 The Turkish Tea was just perfect and the prices were very reasonable. Loved the whole thing.